It’s a very productive dwarf tree that sits in the corner of my plot, next to the shed. It’s a lovely sheltered spot with ivy hedges behind it that attracts a lot of wildlife. Every year I harvest crates of apples but use only a fraction of them before they spoil. Granted, I probably didnt store them well (I learnt in my first year that my shed gets too cold) and I simply couldn’t use up or freeze the quantity of apples it produced. I’ve made crumbles galore with them and they cooked just fine. It was only until the other night that I really realised they don’t look much like your standard shiny green bramley apple. After a few hours of research with help from members of a Facebook allotment group, we determined that the variety is most likely to be Egremont Russet. The Egremont Russet is said to be both a cooking AND eating apple but also makes an exceptionality good apple for homemade cider. It’s described as a ‘nutty’ taste that is soft and moist with a sharp but sweet taste. I picked a couple that appeared to be ripe and sure enough they were in fact edible and quite delicious! So I’m preparing for a bumper crop of apples again. This year I’ll be making and freezing as much as I can into pies, crumbles, cakes and puddings but not forgetting to enjoy them fresh as they are. 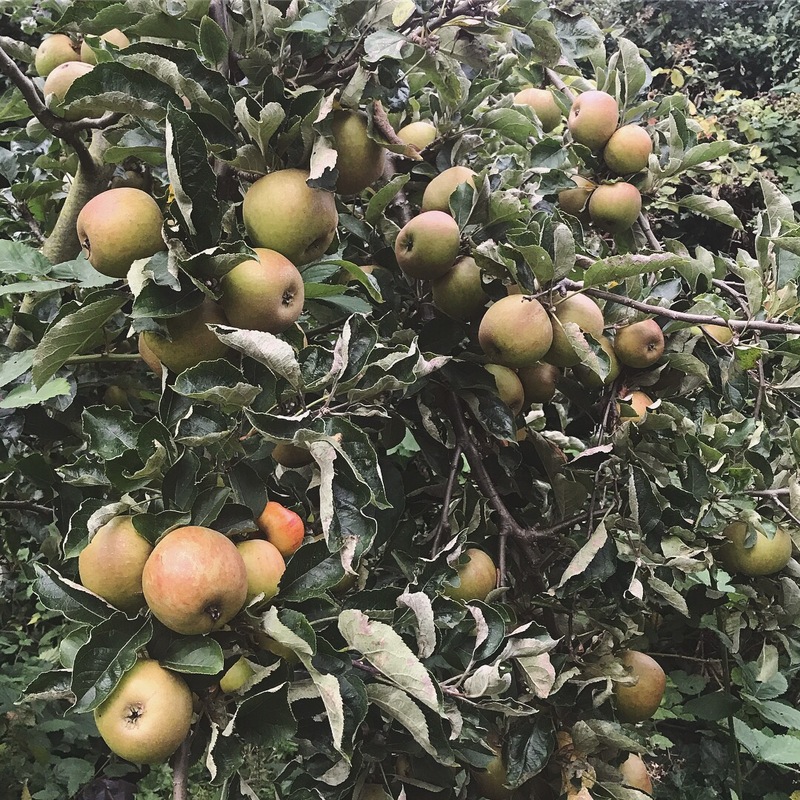 I would love to hear from you if you also grow Russet apples and how you enjoy eating them!